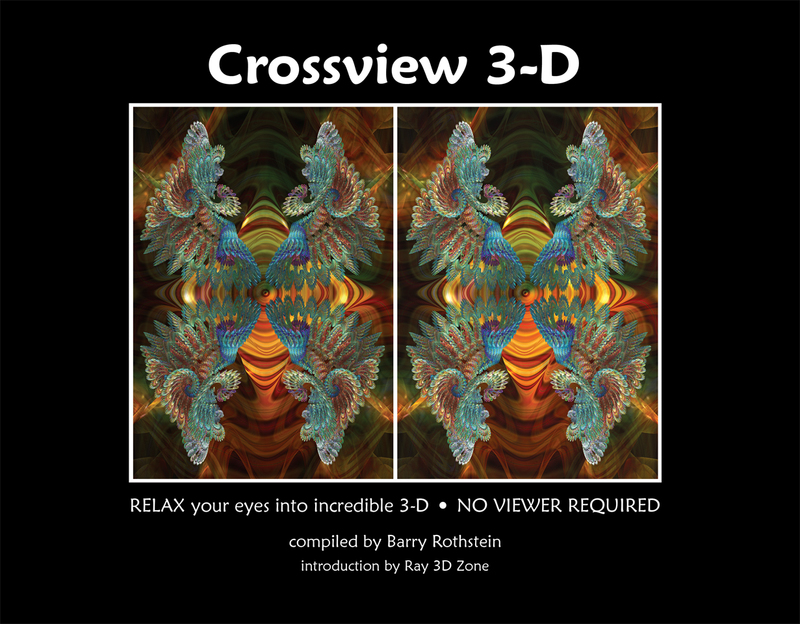 Crossview 3D is a first-of-its-kind book to teach and promote the best way to enjoy 3-dimensional printed imagery. It features great 3D images, no colors sacrificed, and no viewer is required but it helps to have one like our 3DH2O viewer. 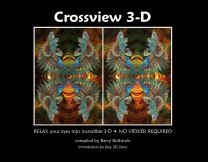 Employed by 3-D image makers for many years, crossviewing is yoga for the eyes, a technique in which one trains oneself to converge and hold a "stereo pair" of images into a single 3-D image via relaxation and control. Crossview 3D's pages contain some of the finest 3-D images ever produced, contributed by an all star cast of twenty-six 3-D image makers. A method of free-viewing stereo pairs where the left eye image is placed on the right side of a stereo pair and the right eye image is placed on the left side. It is generally believed to be easier to learn than the parallel method and can be done with substantially larger images.